William Yougerman Specializes in buying and selling Cook island gold coins and currencies from the Cook Islands and other countries around the world. 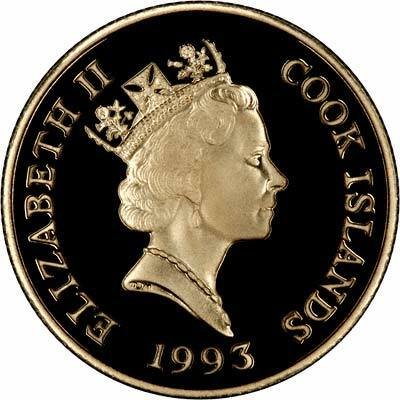 If you are looking to buy a gold coin from the Cook Islands, then browse our inventory or give one of our rare coin experts a call today. We may have other Cook Island coins in our inventory that are not yet listed on the website. To sell your rare gold coins from Cook Islands, or if you have a collection that you would like to get appraised, be sure to give William Youngerman Inc a call today. Our rare coin experts will provide an onsite grading, appraisal along with an immediate written offer for your Cook Island gold coins or coin collection. We can be reached at 1-800-327-5010 .